It’s the day after the Spinathon Marathon spin biking session at TFD Wantage. 4 of the Peaky Climbers Mark, Simon, Ben and JB met at 7:30 outside the Fox in Denchworth to back up the work on Saturday. The plan was to do a quick 60 mile ride and get home for Mother’s Day lunches etc. It was tough getting up both as the 7 hour Spinathon was the day before but also the clocks had gone forward 1 hour overnight. In fact, Simon only got 3 hours sleep due to a wedding party at his pub the night before! 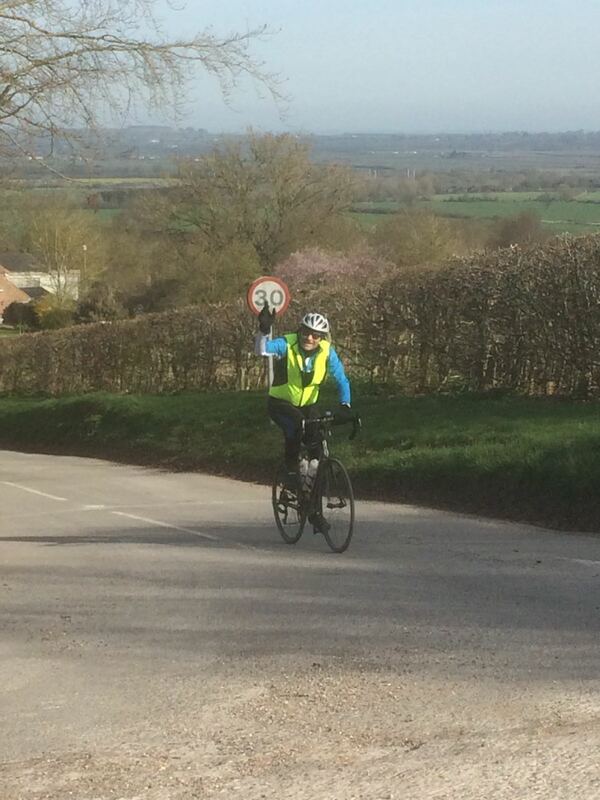 The route set-off flattish to start towards Fyfield, Standlake, Bampton and Buckland. Ben was finding going really tough after giving his all at the Spinathon and in the end peeled off back to Denchworth to have a well earned bath. 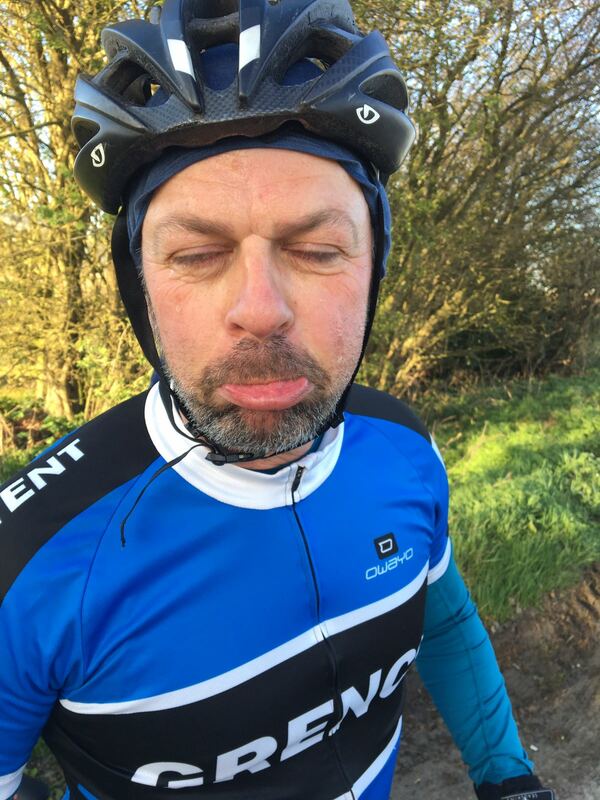 Nobby didn’t make the ride as his backside was suffering after the spinathin…Cricky missed him! Once in Lambourne we found a pub open and stopped there instead. It was decided that it was such a nice day and had been great weekend of riding it was time to celebrate with a Pint! It was certainly welcome and allowed us to reflect on the day before and the challenges to come in Spain in 2 weeks time. Afterwards, we headed straight back to Denchworth along the B4001 to Sparsholt Firs into a head wind and down hill through Childrey and back to the Fox. A great ride in beautiful weather after another challenging but successful weekend for the Peakies.